SO, since i’ve been “really busy” with “working” and “stuff,” i’ve been ignoring quite a few things that i need to do. and somehow, always at the bottom of the TO DO list, is returning my library books. Why is this? I love the library. I love what it represents, the egalitarian nature of it, the populist sentiment of it all, the shear NUMBER of books that are constantly being read, and reread, and are yet to be read, by me, the patron. but somehow, without fail, i am lax about both reading and returning the unsuspecting library books. my fines are a constant headache. one time when i was in middle school i was nearly taken to collections both for the amount, and for the longevity of my owed account. among the books that i (not so) recently have “borrowed” (i use this term liberally, as it is more of an extended term borrow), I don’t know that i have read any of them all the way through. it has to have been months since the last time i even picked them up and pretended that i was going to read them. but i somehow, have this bizarre delusion that i’m going to suddenly have all the time in the world to read these books that i haven’t been inspired to read up to this point. Los detectives Salvajes (The Savage Detectives), Roberto Bolaño. Ok, I really think that I’m going to get around to this one. Especially because I just read this article by Carmen Boullosa about Bolaño, and the time period, and yeah. Definitely not returning this one yet. The Selected Poems of Tomaz Salamun. I honestly don’t know why I held onto this one. I started to read these and knew that I wasn’t going to finish the book. Why. Posada: El novio de la muerte. 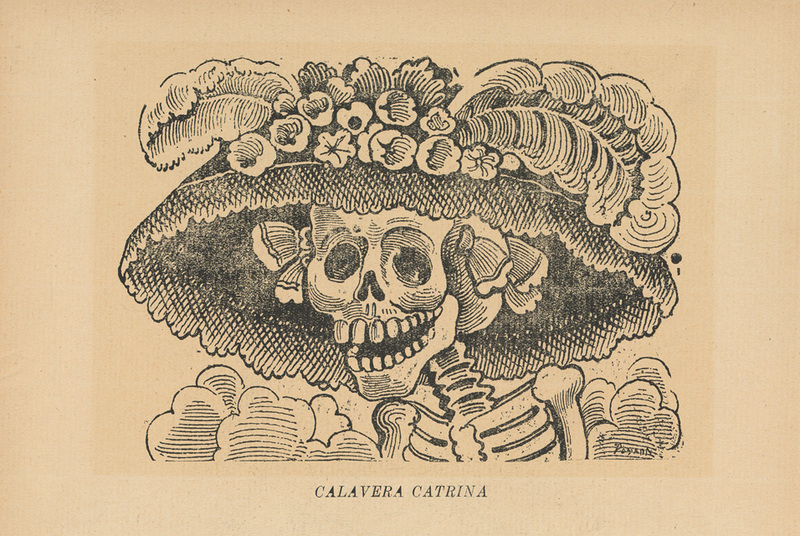 this one is pretty amazing, it’s like a children’s book about the “life and times” of Jose Posada, mexican artist, know as an artist “of the people.” his images are like this and this and this, and overall pretty amazing. the book is like in graphic novel form, so that’s always awesome. José Clemente Orozco, a biography… also amazing mexican artist/muralist. (i know, i know, you’re probably wondering: if he’s so amazing, why haven’t you read the book at this point? i have no answer). i think it really boils down to the fact that i am a procrastinator at heart, which, funnily enough, is what i am doing exactly right now, avoiding running errands and whatever else it is that i responsibly ought to be doing, as the responsible adult that i am (ha). enjoy!